PHOENIX – Officials are investigating the heat as a possible factor in 12 deaths in metro Phoenix last week as temperatures soared to 119 degrees. Maricopa County Department of Public Health officials said they have opened investigations into the deaths to determine if they are heat-related. Phoenix has been in the midst of a heat wave that has produced five days with temperatures hotter than 115 degrees ) in one week. 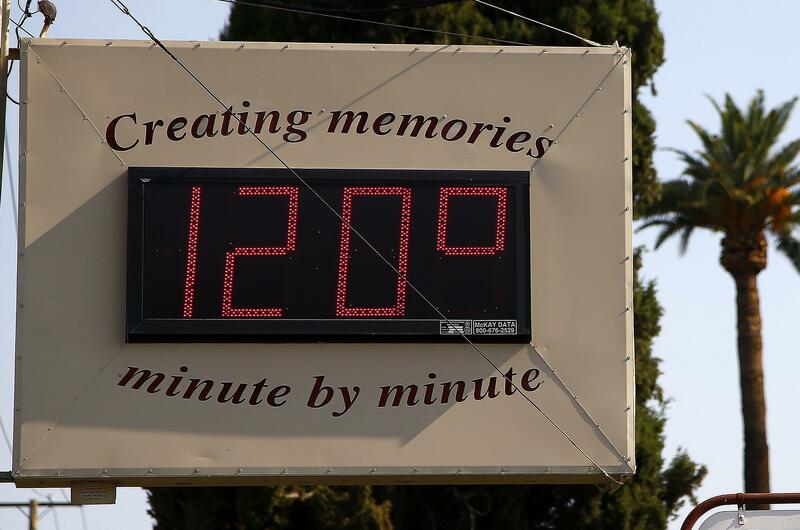 That ties the city’s record set 22 years ago of days above 115 degrees. Other Arizona counties have reported at least four heat-related deaths since last week, including an elderly couple found dead in a home in Pinal County with a broken air conditioning unit. Maricopa County, the state’s largest municipality, saw 130 heat deaths last year, up from 85 in 2015. The county is currently investigating 27 deaths dating back to April as heat related. It’s not yet known how many will be officially linked to the heat. County public health officials reported a spike in heat-related emergency department visits on June 20, when temperatures in Phoenix topped out at 119, coming 3 degrees short of the hottest temperature ever recorded in the city. The low temperature for the day on Sunday was 93 degrees, exceeding the previous record of 90 degrees in 2015. Maricopa County epidemiologist Kate Goodin said about that since the heat wave began, twice as many people have visited emergency departments for heat-related illnesses compared to the week beforehand. Goodin said she expects emergency visits will remain above average even after temperatures dip back down because symptoms of heat-related illnesses can take up to four days to manifest. Officials from the Arizona Burn Center said their emergency department visits also doubled last week. Dr. Kevin Foster, director of the Arizona Burn Center, said this June is the busiest the center has seen in 18 years. Foster said the center has had 20 percent to 30 percent more patients this June compared to last. Most suffer surface burns or heat prostration, which occurs when people’s internal temperatures rise because they can’t produce enough sweat. A surgeon himself, Foster typically performs four to eight operations each day, but he’s had to operate closer to eight times per day since last week. Published: June 28, 2017, 5:33 a.m. Updated: June 28, 2017, 6:30 a.m.